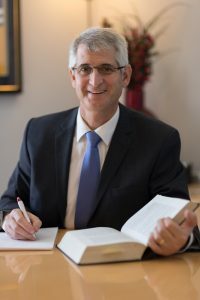 Michael was admitted to practice as a Solicitor in Queensland in 1987 having completed his prior 6 year Articled Clerkship in what was then his father’s city based law firm of Welldon & Zande. Michael spent the early years of his career in a high end Brisbane CBD commercial practice working extensively in the fields of Commercial and Property Law including Property Conveyancing and development, Joint ventures, Business acquisition and sales, Corporate finance, leasing, Taxation, Stamp Duty, Wills and Deceased estate administration and Commercial Litigation. By the early 90’s, Michael had developed a strong interest in Family Law dispute resolution and shortly after moved exclusively into this field. In 1996, the Queensland Law Society established a special programme to vet and identify Family Law practitioners exhibiting excellence in every aspect of Family Law. In 1997, Michael attained accreditation under this programme as a recognised Family Law specialist. Of the 3000 (approximate number) Lawyers practicing in Queensland at this time only 80 had achieved accreditation under this programme. Presently there are still only 152 Accredited Family Law Specialists throughout all of Queensland and of this number, only six (including Michael) are practising in the Brisbane northern suburban areas. Michael’s solid grounding in the fields of Commercial and Property Law, enable him to approach Family Law property cases with a strong understanding of the commercial principles either at play historically or currently in issue. This is a distinct advantage in resolving disputes of this nature. Michael’s 15 + years experience specialising in Family Law has also given him exceptional skills in resolving children’s dispute matters through the full spectrum of the very simple to the very complicated. Since 2003, Michael has re-enlivened his practice in the fields of Conveyancing, Wills and Administration of Deceased Estates and this combined with his past extensive experience in these areas has re-established a high level of proficiency in these fields. Memberships: Queensland Law Society, The Law Council of Australia (Family Law Division), Family Law Practitioners Assocation of Queensland.